It’s that time again.Â We are nearingÂ 10K likes on Facebook, so we thought it was time to announce another giveaway, our way of saying thank you. Fill out the Contest Entry Form below. To thank them for donating to this giveaway, like the following pages on Facebook. Update 3/4/2013: Contest Closed – We have winners. 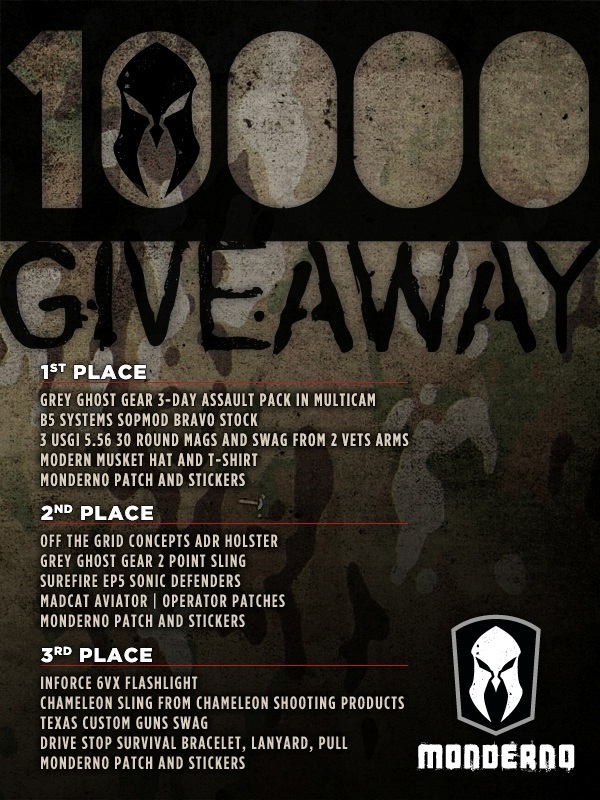 We will let the contest run for one week once we have hit 10K likes, and then randomly choose the winners. Winners will be chosen on Monday, March 4. Good luck! You can learn more about our giveaways here. 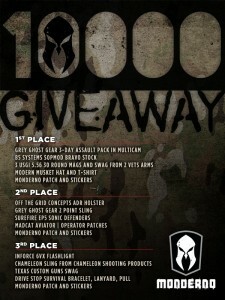 Entered, and thanked all the sponsors! Congrats on all the new followers! Great products from great companies! Good luck to all. A lot of great products from great sponsors! Thank you for the giveaway! Good luck everyone. Great products from great companies! Thanks for the great give always! I could use this gear!!! Thanks again for the great site and awesome info.